The silent destroyer……termites……they can be secretly hiding and growing larger by the day in your home or yard…..and there really is no immediate signs of damage. 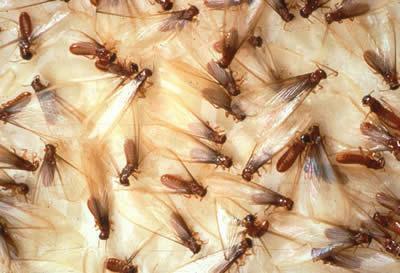 Although there are lots of different species of termites, they all consume cellulose-based plant materials. What does this mean? Well, any home, regardless of what it is constructed with, can provide the cellulose food that a termite infestation requires. Subterranean termite homes are formed in the soil most of the time. In these mounds, the termites can form some truly elaborate tunnel systems and mud tunnels. This is what provides them access too above ground---where their food source is located. Drywood termites are found in the wood that they are eating---so that includes walls and furniture.